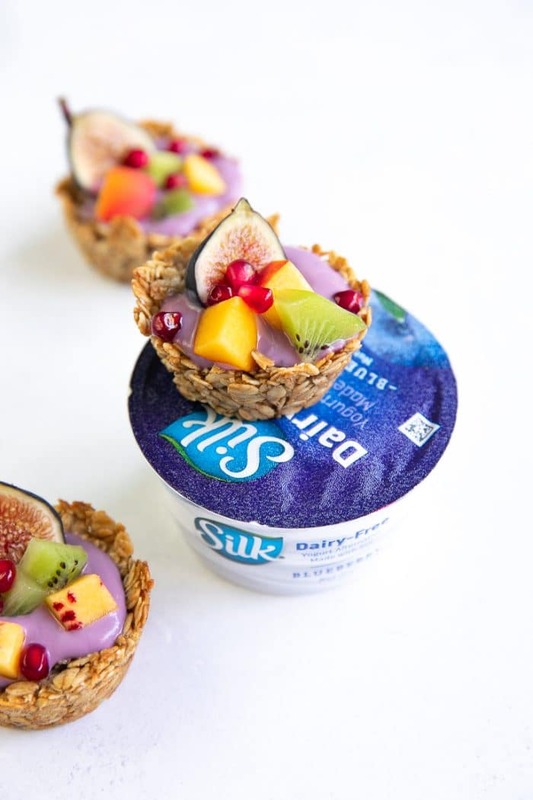 These Baked Oatmeal Cups with Yogurt have been sponsored by Silk®. All thoughts and opinions are my own. 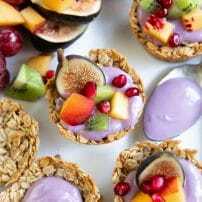 Baked Oatmeal Cups with Yogurt and Fresh Fruit are a fun and easy breakfast recipe loved by the whole family. 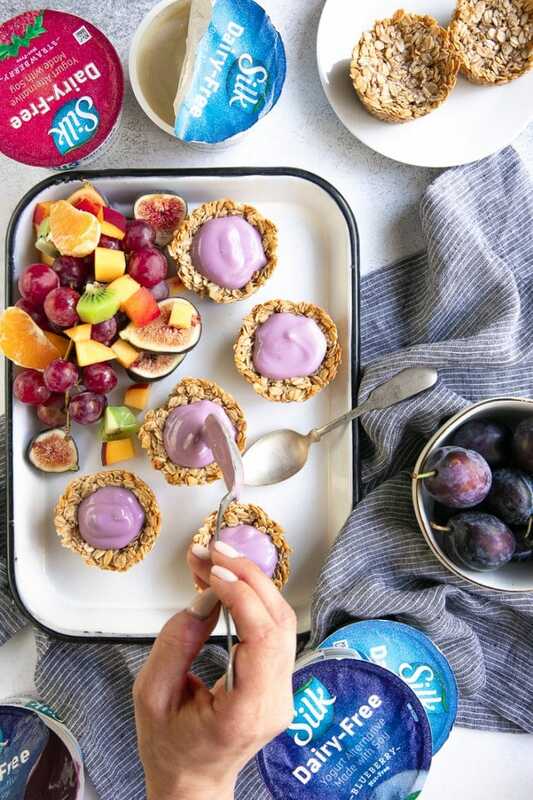 Made with gluten-free rolled oats and Silk® Dairy-Free Yogurt, both kids and grownups will have a blast topping their very own oatmeal cups with chopped fresh. I am thankful for many things. There are the obvious things like friends, family, clean water, and a safe home. And then there are things that may be a little less obvious. 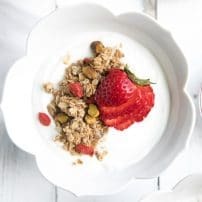 Things like pretty breakfast foods and dairy-free yogurt that the whole family gets excited to eat. After all, mornings are hard enough. Breakfast should be easy. 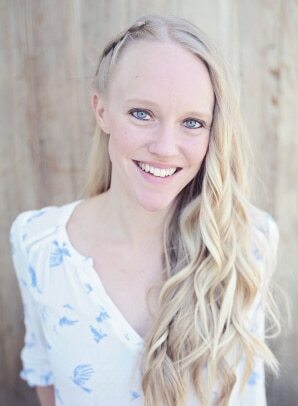 When I discovered my husband had a sensitivity to dairy products just one month into dating, I laughed it off. A silly and infatuated college girl with no knowledge of what it meant to have a sensitivity to lactose, let alone to be lactose intolerant. I mean, I had an idea but not really. Fast-forward to present day life, we are now oldish, married, parents, and living in suburbia. My husband still has a sensitivity to lactose and I still laugh it off. Just kidding. That’s awful. Although I do laugh…just not at him. Through my husband, I have learned that even those individuals with a sensitivity to lactose need to take care when choosing to eat dairy products. As a result, whenever possible I try to prepare meals that are dairy-free. 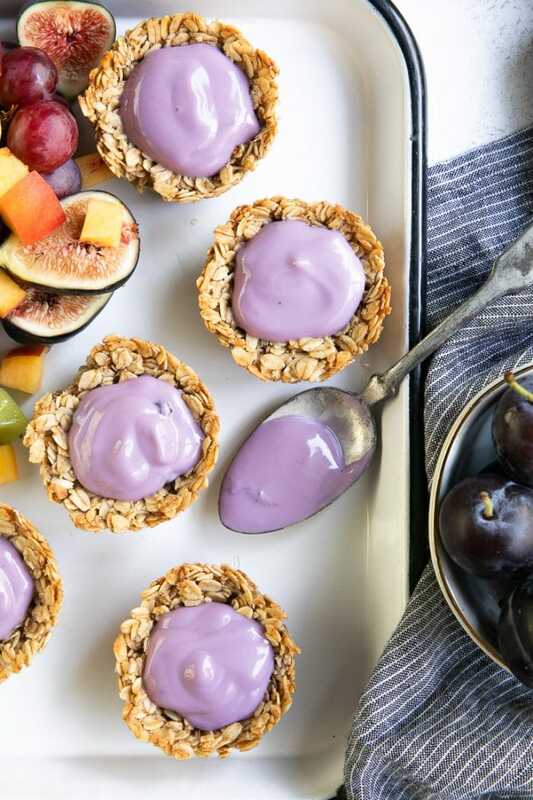 So, this morning I made this delicious and easy Baked Oatmeal Cups topped with the convenient Silk Dairy-Free Blueberry Yogurt Alternative and fresh fruit. 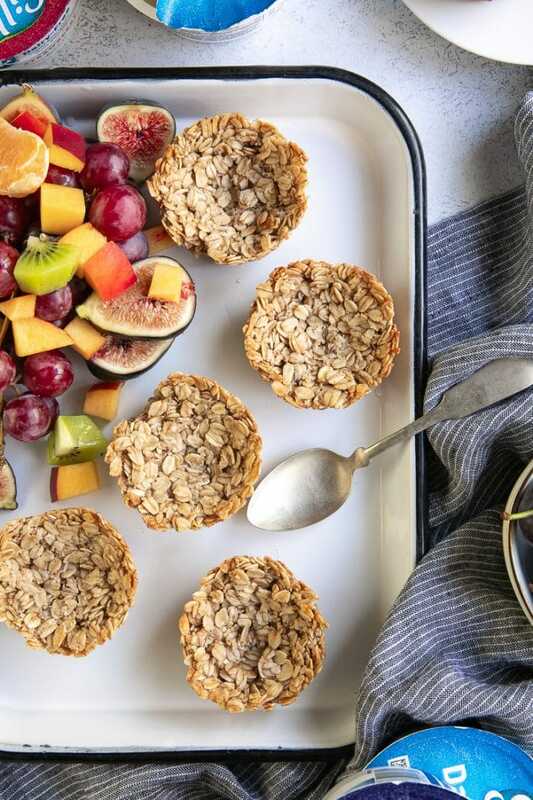 You really don’t need much to make these fun baked oatmeal cups. Made with gluten-free or regular rolled oats, these oatmeal cups are perfect rain or shine and any day of the week. 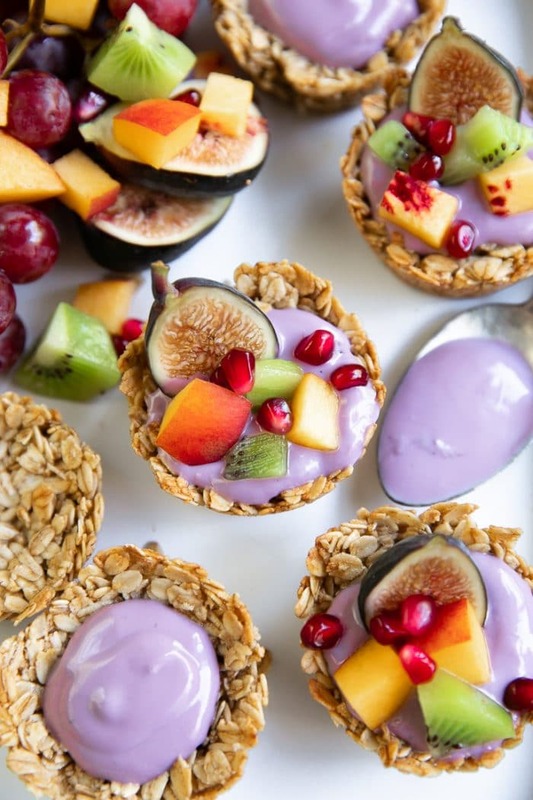 These adorable Baked Oatmeal Cups are Dairy-Free, Gluten-Free, Vegetarian, and Nut-Free. 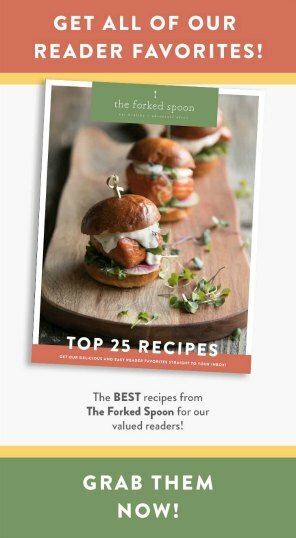 Even though I don’t necessarily need to eat a diet that fits any one of those restrictions, it’s a recipe that I can make for a large group of guests and feel comfortable knowing that individuals with dietary restrictions will be ok. In other words, these baked oatmeal cups are going to save me from making ten different breakfast options over the holidays. They come loaded with protein and fiber and less added sugar when compared to other breakfast treats like muffins and sugary cereal. You may easily make extra and save for several days (ahem, meal prep). You can eat them with your hands and they’re bite-size. Kids AND adults love them. 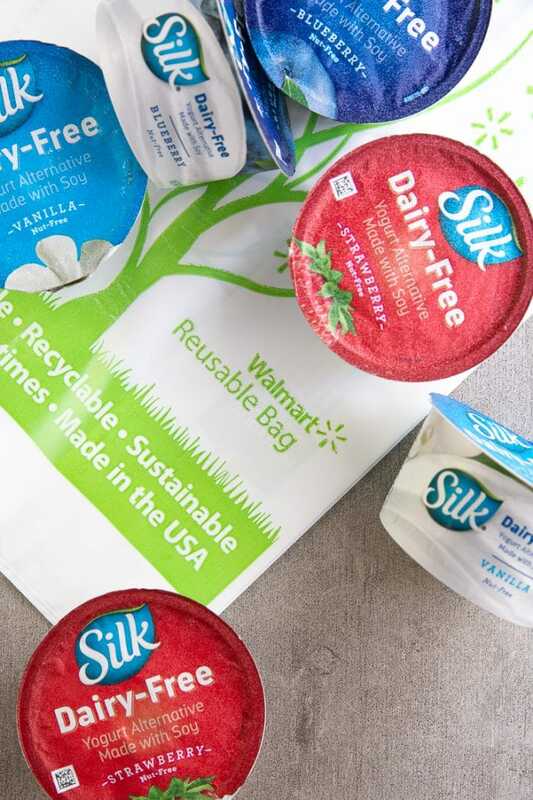 Located in the refrigerated section of Walmart, Silk and Walmart make it easy to stock up on all the dairy-free yogurt alternatives my family could possibly want. 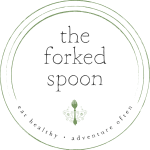 Each coming in several different flavors, I always know I can find our favorite Silk Almondmilk and Silk Soy Yogurt Alternatives. If you’re wondering what I think about these dairy-free yogurts (since I technically don’t have to eat dairy-free) I’ll give you my honest answer. I love them! Just as delicious and creamy as regular yogurt, I can’t even tell the difference between yogurt containing lactose, and yogurt without. Octavian can’t either! So, anyway, remember how I’ve mentioned in previous posts how much I love to meal prep? Well, these easy baked yogurt cups with yogurt and fruit can easily be added to your list of meal prep favorites. In fact, I highly recommend it. Go to Walmart and stock your refrigerator with your favorite flavors of Silk Dairy-Free Yogurt Alternative and fresh fruit. My personal favorite is blueberry, but I highly encourage sampling them all. Make your muffin cups. You can make one batch or two. That’s totally up to how big your family is, how many baked muffin cups each person will eat, etc. 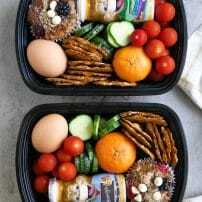 Remember that in order to meal prep you will need to make extra, so factor that into how many you plan to cook (these oatmeal cups store well for approximately 3 days). Chop your favorite fruit and store in the refrigerator along with the yogurt and oatmeal cups. Grab and go or sit with your family and eat together. Either way, this simple and nutritious breakfast is pretty much the best thing ever. 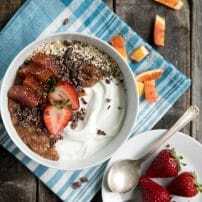 Don’t forget to check out these other easy breakfast ideas! If you have a sensitivity to lactose, substitute any of the dairy ingredients with your favorite Silk Soy or Almondmilk Dairy Alternative Product. 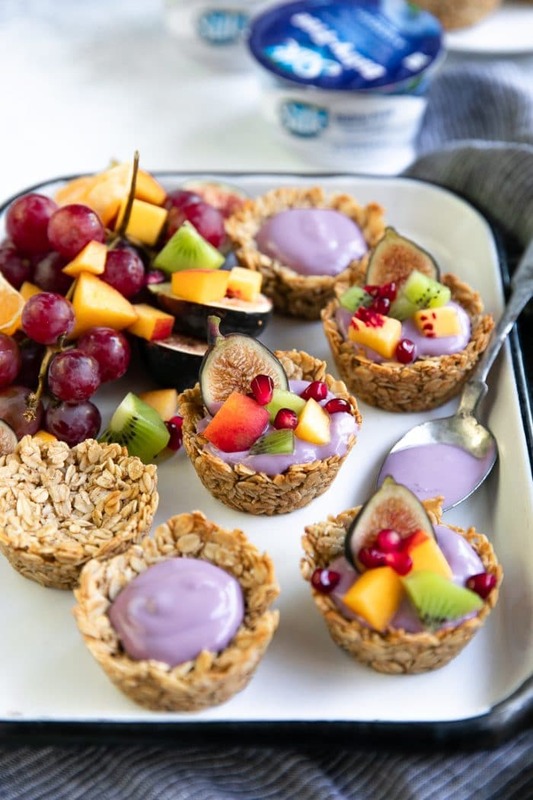 Baked Oatmeal Cups with Yogurt and Fresh Fruit are a fun and easy breakfast recipe loved by the whole family. 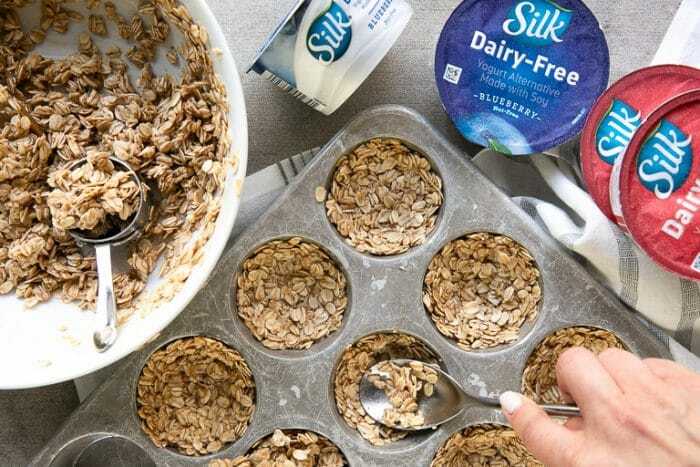 Made with gluten-free rolled oats and dairy-free Silk® yogurt, both kids and grownups will have a blast topping their very own oatmeal cups with chopped fresh. Preheat oven to 350 degrees F. Spray a regular size muffin tin with non-stick cooking spray, making sure to spray the bottom and the sides of each muffin well. Set aside. In a large mixing bowl combine the rolled oats, salt, cinnamon, honey, coconut oil, and egg white. Mix well. Fill each muffin cup with approximately 1/4 cup oatmeal mixture. Using the back of a spoon gently, yet firmly, press the mixture to the bottom of the muffin cup and up the sides to create a small well, or bowl, in the middle. Transfer to the oven and bake for approximately 15-18 minutes, or until edges are golden and just starting to crisp. Remove from the oven and allow to cool for 2-3 minutes before handling. Carefully dislodge the oatmeal muffins from the muffin tin by slowly running a knife along the edge of the granola cup. Gently twist the granola cup loose and pull out. Top each granola cup with your favorite flavor of Silk Yogurt- I am particularly fond of the blueberry (shown here)- and top with fresh chopped fruit. Store any leftover oatmeal cups in an airtight container in the refrigerator for up to 4-5 days. Enjoy!